Most kids love movies made for them. "kids movies" is not a term that kids are fond of, this sort of animated films also appeal to adults. Many family night and home theaters has involved a lot of cartoons aimed at children. What are the best movies for children to watch in 2015? Here we compiled a list of top 2017 movies for kids and best animated movies in 2017. What about download the best kids funny movies 2017 or backup all movies on DVDs and watch them on iPad iPhone Android mobiles anytime and anywhere? You can also find ways here. MacX Video Converter Pro - Free download kids animated movies from YouTube or other 1000+ sites for offline smooth playback. MacX DVD Ripper Pro - 1:1 copy Disney/Marvel DVD to Android iPhone iPad for watching on the trip or metro. MacX MediaTrans - No.1 fast to transfer kids HD movie from computer to mobile device without any format issues. It is a must-watch best kids movie in 2015! 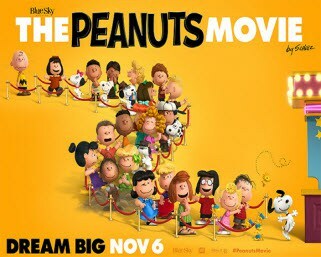 The Peanuts Movie (Snoopy and Charlie Brown: The Peanuts Movie), is the best animated comedy film for kids in 2015 for sure if your kids love the original Peanuts strip. Snoopy and his friend Charlie Brown all begins their great missions. Apart from Snoopy, Charlie Brown, Lucy, etc. there are many more Snoopy's families, Olaf, Spike, Belle Marbles, Andy showing together. The Peanuts Movie soundtrack, film song Better When I'm Dancin is also worth a download. Blu-ray & DVD Release Date: Nov 3, 2015. 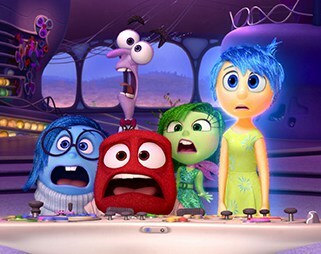 Pixar movie Inside Out is a huge success in box office. Highly praised as the best Pixar movies for kids and family, the best to come out of Pixar, the movie will make you laugh and cry. It tells a story that Riley and her family moved to a new place, and the girl fell into negativity. How the positive emotion, Joy, the best friend of Riley helps her to get rid of stress. 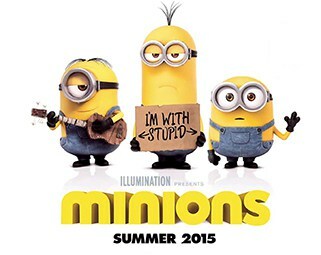 I'm sure your kids and your family will love the top animated kids movie from 2015, the Despicable Me franchise. There is never too much a cute thing. These tiny yellow creatures are really adorable, and they play a leading role in in the prequel to the Despicable Me. Good news is that the sequel of Minions - Despicable Me 3 joins the top 2017 Hollywood movie list for kids and family watching in the hot summer. If you have no idea of what the best new kids movies of 2015 to watch this Halloween, this movie is a nice choice for your family. It is all about monster comedy adventure, all the comic characters are reunited. 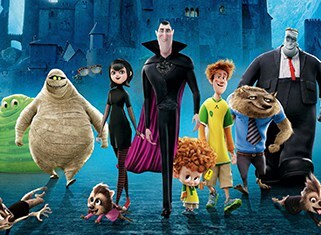 You can free download Hotel Transylvania 2 trailer to create fantastic 2015 top kids animated movies for your kids. It is big-budget best Disney movie in 2015 for kids. Though its ratings is low and reviews is not positive, it is a really nice top movie for kids to watch in 2015. In fact, it is a propaganda film of Disney theme parks. 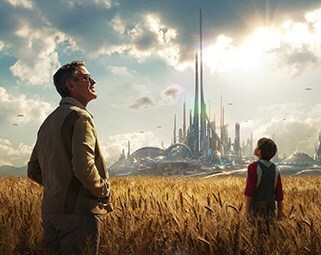 Tomorrowland is a classic Disney movie, full of hopes for the ideal future, a beautiful tomorrow. Let your kids imagine what the future will be look like. It is the biggest box office grosser in 2016 so far, beating off Batman v Superman. It is a must watch top kids movie in 2015 2016, a big hit after Frozen and Lion King. Its original soundtrack Shakira's Try Everything downloads from Vevo YouTube is also available now. Now, this Disney animated movie is on the list of new kids movie releases on DVD, so you can go to Amazon or other online store to purchase its DVD for watching on 4K Ultra HD TV with family on Thanksgiving Day or Christmas evening. 2016 is another significant year for Disney, as Disney will produce a lot of fantastic best movies for kids. 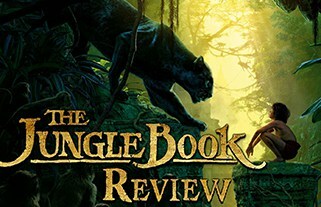 The Jungle Book is among the best Disney cartoon animation kids movies 2015 2016 list. It is about a live-action exciting adventure of a boy raised wolves, and kids will love it. No.1 fast movie downloader, MacX Video Converter Pro helps you download free top 2015 2016 animated foreign English Hindi movies in 720p, 1080p, 4K UHD from over 1000 sites, YouTube, Vimeo, Dailymotion, Metacafe, Letv.com, Pandora TV, to name just a few. The top funny comedy adventure movies for kids 2015 free download is 100% clean, no ads, no virus, no spam, no malware. MP4, MKV, AVI, MOV, FLV, MTS etc. English, foreign French, Spanish animated kids family free movies of 2015 download is right at your fingertips. Follow the detailed guide below to save 2015 kids movies in full length 2016 movies trailer to iPhone iPad Android mobiles, kids tablets. Step 1: Free download best movie downloader. Click "YouTube" icon, copy and paste animated cartoon Disney Hindi kids movie URL to the box frame, click "analyze" to load the movie info. Step 2: Choose top 2015 kids family movies resolution, format, codec, and file size. Note that the higher resolution, the larger file size. Step 3: Click "Download Now" to start best kids movies 2015 free download in 720p, 1080p, 4k UHD. Step 4: You can select to auto add the movies to convert list to convert MKV FLV MTS M2TS movies to MP4, AVI, MOV, etc. more common used formats. Missed the chance to go to theater to watch the best kids movies in 2015 with your kids? 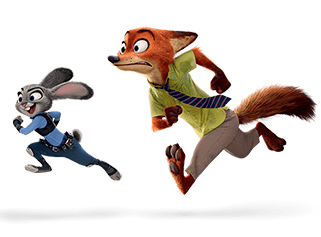 If you have bought the movies on DVD, top animated movies free download may be not your ideal choice, you can copy the best animated movies on DVD to iPhone, iPad, Android mobile and watch anytime, anywhere. 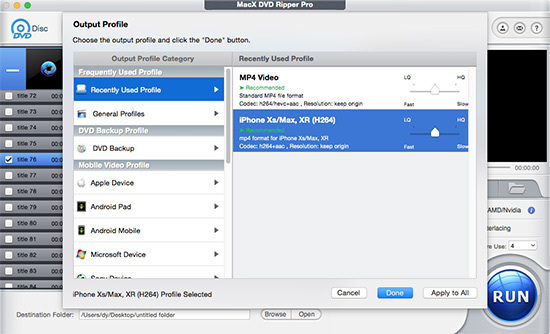 MacX DVD Ripper Pro helps decrypt and copy 2015 best kids movies from Disney, Hollywood, Bollywood to MP4, AVI, MOV, video format, iPhone, iPad, Amazon Fire, LeapFrog kids tablet, etc. with ZERO quality loss and 36× faster speed. No worries about DVD copy protection, it bypasses DVD CSS, Region Code 1-6, Disney DRM, UOPs, etc. automatically. Thus, you can trouble-free to backup Kids DVD movies to cloud, hard drive, USB drive, computer and more. Step 1: Free download the 2015 best kids movie DVD copy software and run it on your computer. Click "DVD Disc" icon to import DVD. 1. copy best kids movie 2015 on DVD to MP4, MOV, MKV, AVI, etc. digital video format, computer hard drive, USB. 2. copy the animated kids movies, cartoons directly to iPhone (including iPhone Xs/Max/XR), iPad (Pro/Mini 4/Air2), kids tablets etc. devices. 3. decrypt and backup top new 2015 kids cartoon movies on DVD from Disney, Sony, 21th Century, Paramount, etc. to ISO image, video TS folder, for later burning to DVD. Step 3: Select output folder to save the output files. Step 4: Click "RUN" button to start ripping the new kids movies on DVD.